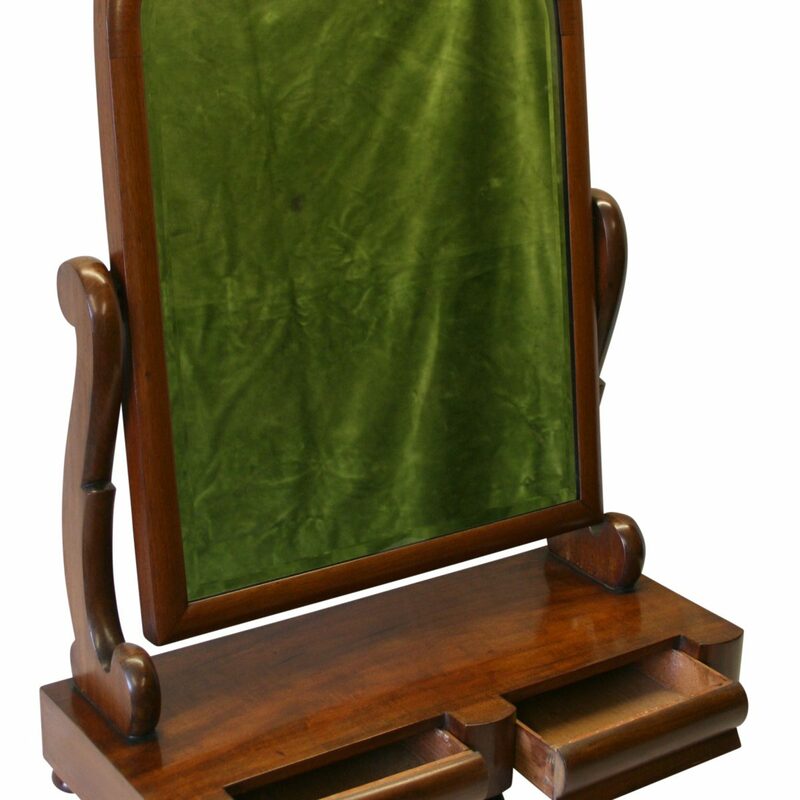 An Edwardian mahogany display cabinet. 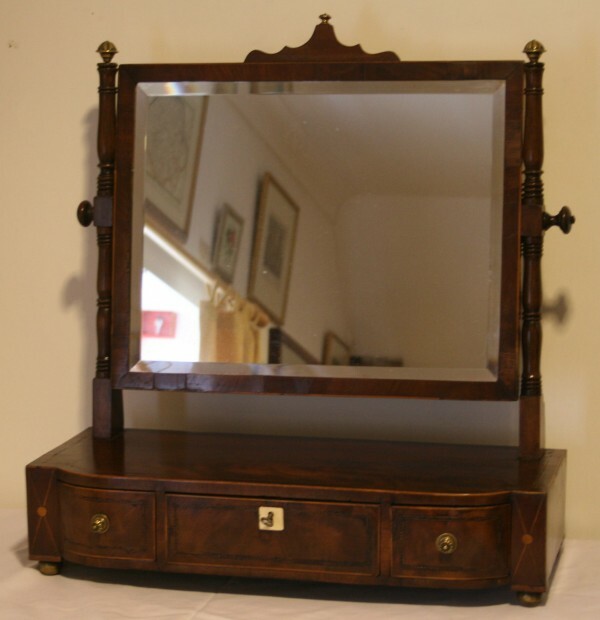 An oriental rosewood display cabinet. 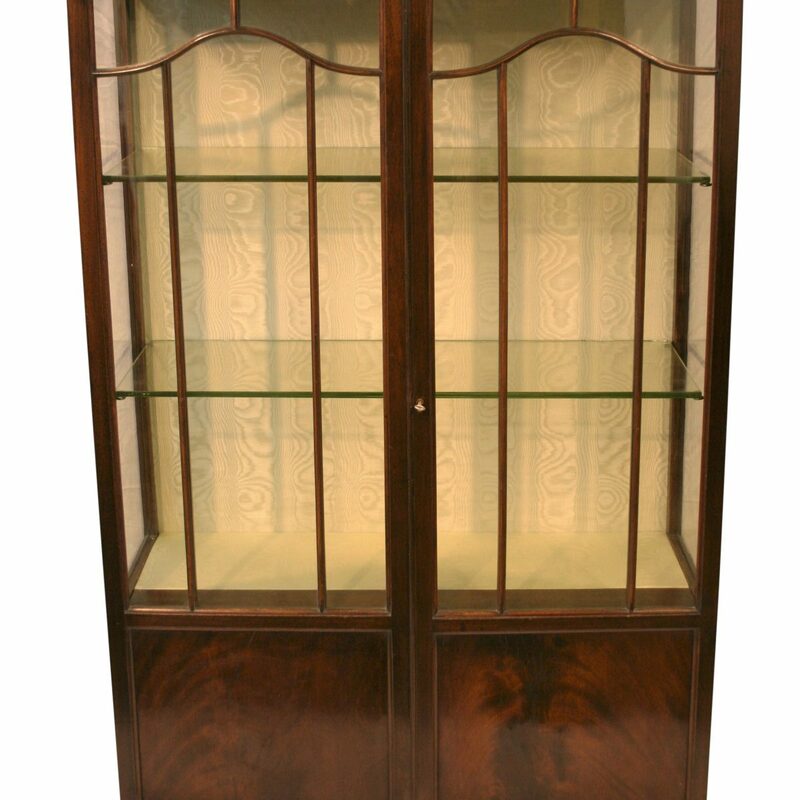 The panelled cornice holds a top light and sits above a pair of glass lockable doors. 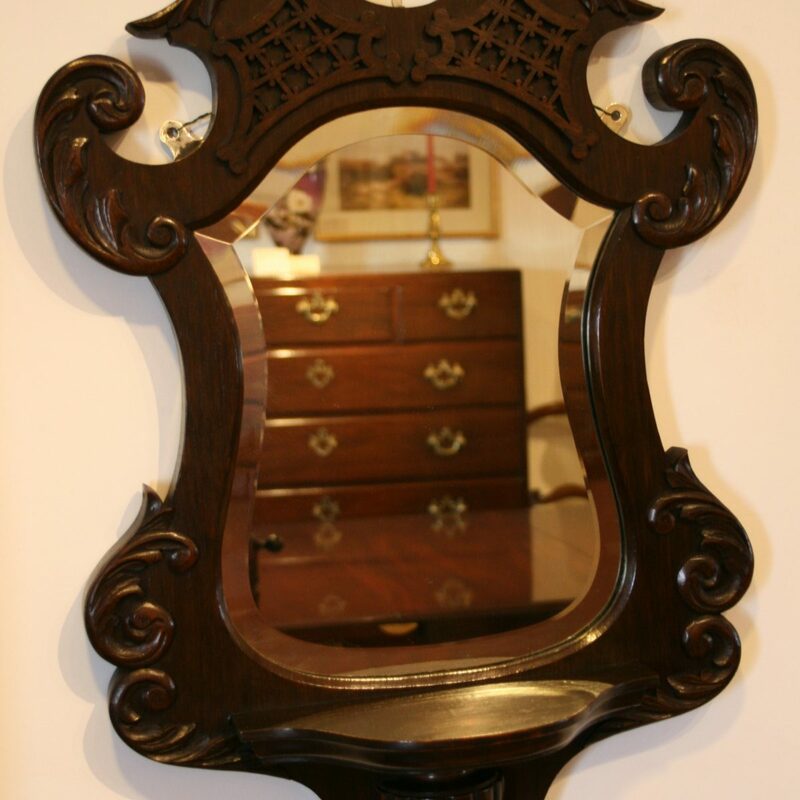 Inside are fixed glass shelves supported by a wooden frame-work, with a mirror back. Below is a cupboard base fitted with a pair of panelled doors. Inside is a single drawer which houses the base light. It is raised on a plinth.